MICK MILK was the early 80's musical outlet of DIY-synth master and guitarist Mick M., back then hailing from New York City, USA. 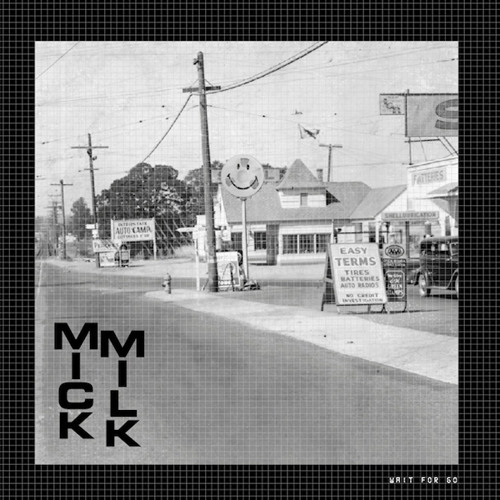 Basically equipped with a Korg MS-20 & MS-10, Casiotone 202, Boss DR-55, Roland TR-606 and other recording gear and effect units, Mick recorded a few dozen of incredibly amazing tracks which cannot be described other than superbly creative in terms of using analogue synthesisers for sound design and song arrangement in electronic pop music while adding brilliant and unique vocal moments to the whole. Even though his music was almost abnormally rich in ideas and both technical and playing skills, proper comparisons are other representatives of the weirder kind of electronic pop music and ahead-of-their-times projects such like Richard Bone, Our Daughter's Wedding, John Bender or Der Plan and Devo. In 1982, Mick recorded his one and only vinyl release, "Half Life" for Cyclops Records (CY-903), a 12" single which also featured famous names Man Parrish and Raul A. Rodriguez as producers. In 2012, Anna Logue Records has carefully selected and compiled the 14 obscure, electronic and label-fitting tracks from his demo tape "Songs for Citizens (1982)" and a batch of previously unreleased tracks from 1982-83. This new 7"EP compiles another three tracks from that era, yet even more obscure and perfectly fitting the Attractive Co-ordinates label. Mastered by Mick himself.